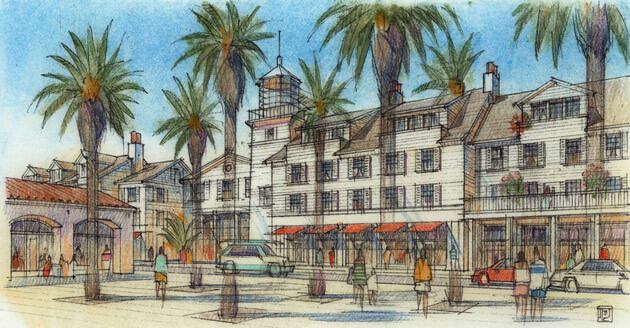 The new master plan and form-based code for the 50-year-old, 330-acre Ventura Harbor District encourages new development, enhances recreation and establishes a highly sustainable infrastructure. 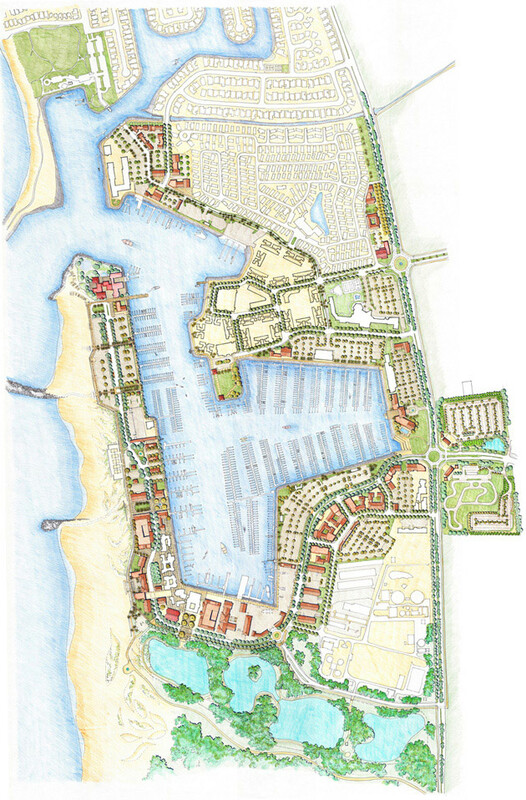 Long home to pleasure boating, commercial fishing, tourism and retail, the new Plan and code doubles capacity, adding 500,000 square feet and up to 600 new residential units. 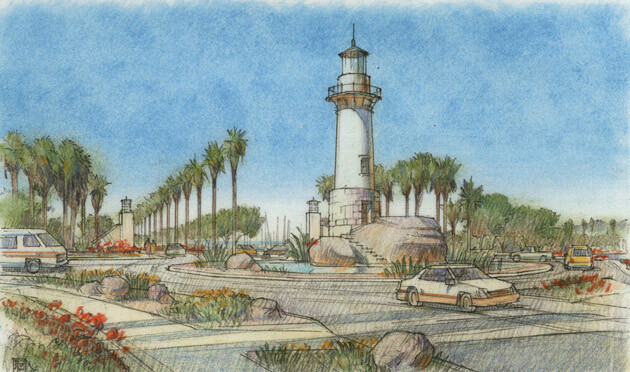 It also builds upon the Harbor’s existing role as a gateway to the Channel Islands National Park, encouraging environmentally sensitive access to an adjacent wetland reserve and improving general access with pedestrian paths, bikeways and a water taxi. 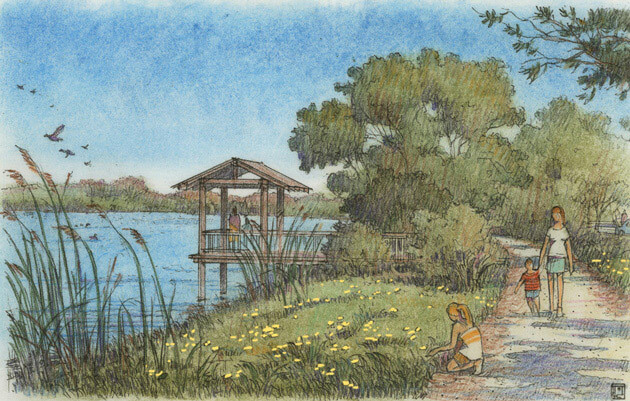 New density is focused in selected areas, preserving important vistas and providing attractive public spaces, amenities, new housing, office space and a beach hotel.